Dispatches From Kickassistan: Metal Gods of Ur-Hadad Zine Issue #1 Cover Revealed! 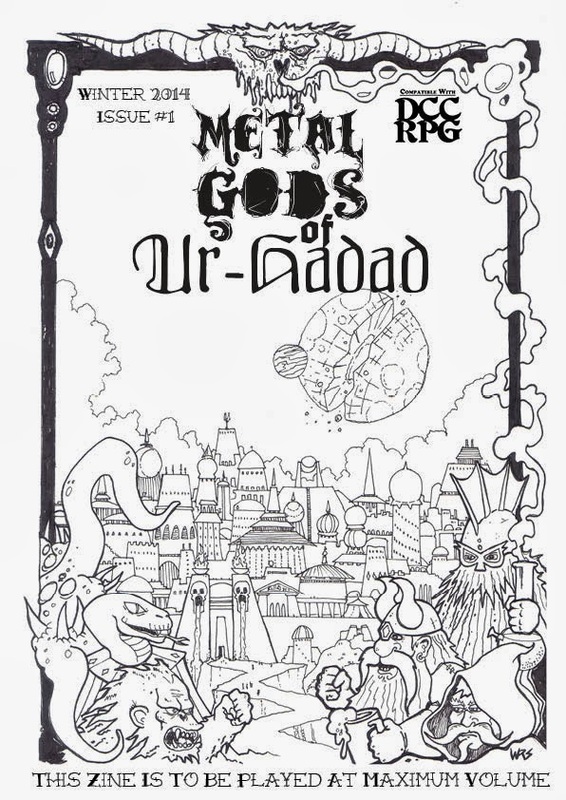 Metal Gods of Ur-Hadad Zine Issue #1 Cover Revealed! 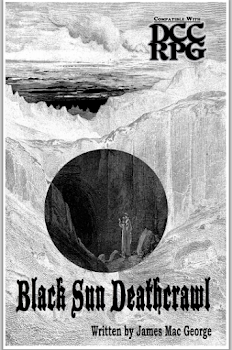 Howdy folks, I just thought I'd scoop myself and show off the cover of the first issue of the Metal Gods of Ur-Hadad zine! Check that awesome +Wayne Snyder cover out! Wayne's art is fantastic and this thing is practically oozing with it. He even threw in a quick "one page dungeon" style micro-dungeon. This thing was written by +Edgar Johnson and myself. I wrote mostly some general World of Ore and Ur-Hadad stuff, while Edgar provides us with the extremely excellent "Streetkids of Ur-Hadad" funnel adventure kit. Not an adventure in and of itself, but a tool kit so Judges can quickly create their own unique Ur-Hadad citycrawl adventure. As it stands, I have the zine off in the hands of Wayne & Edgar for review purposes. I'm hoping that if something's horribly wrong, they'll catch it before I send it off to Joe Goodman for the official final review. She comes in at 20 interior pages long (24 including cover) and will be available as soon as we're approved both in print and in pdf. The print version will be $3.50, but the pdf will be pay-what-you-want with 50% of the proceeds going to StandUp For Kids, a nonprofit, non-partisan organization devoted to fighting teenage homelessness. For us, the Metal Gods zine is a labor of love, and we're more interested in that love helping someone else out than making us any money. Stay tuned for the next step on the road. [Edit] UPDATE: She's finished folks, and off to Joe Goodman for approval. Barring any errors in judgment on my part (or that of my erstwhile collaborators), we should be in bidness.